“Typically only those with a past have a future!” is the justification adduced by Roland Mayer, Managing Director of MTM GmbH in Wettstetten, for the name of the latest exemplar of MTM’s engineering prowess, the S8 Talladega. 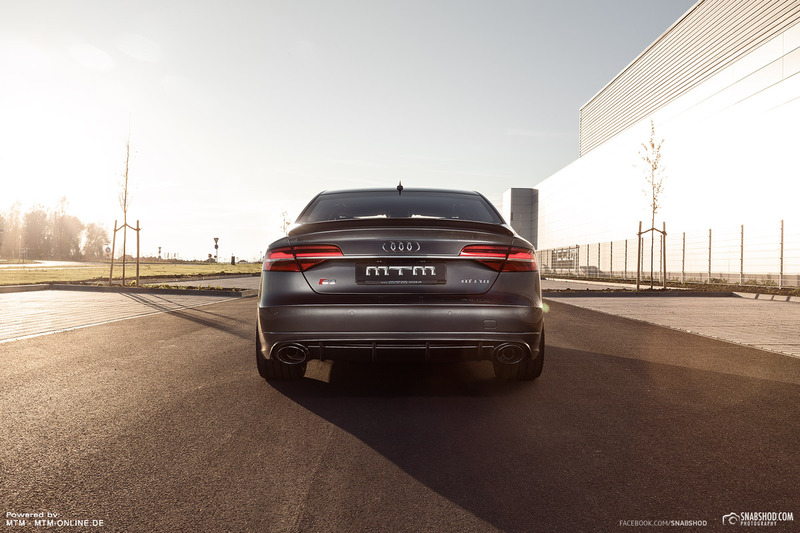 A powerful, even imposing, looker when its trim figure appears in a parking space, sporty and superior, its eight cylinders delivering respectively 760 hp, or 559 kW , at 5950 rpm. The maximum torque of 945 Nm is experienced between 1700 and 5500 rpm, stable over the entire range and everyone experiencing the delights of this grandiose outpouring of power is thankful for it being applied to the road through all four wheels. 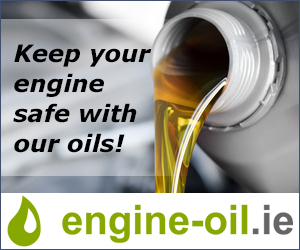 Audi engineers also exploited this advantage on 24 March 1986, when they unleashed an Audi 5000 CS Turbo on the Talladega Speedway in Alabama in pursuit of a record. The US model, better known here as the Audi 200 Turbo, was driven by a 2.2 litre, 5-cylinder turbocharged engine with five valves per cylinder and power output of 650 hp. The prize: the Audi averaged a speed of 332 km/h around the oval track. It made it through the longest straight at a top speed of 350 km/h. The new MTM S8 Talladega’s raison d’etre is not to break this record. It exists instead to bestow on 25 chosen individuals and 25 years after the company was founded the particularly sublime feeling of superior mobility. And to do so in an ambiance harmoniously combining elegance and power to the smallest detail of luxurious ingredients. 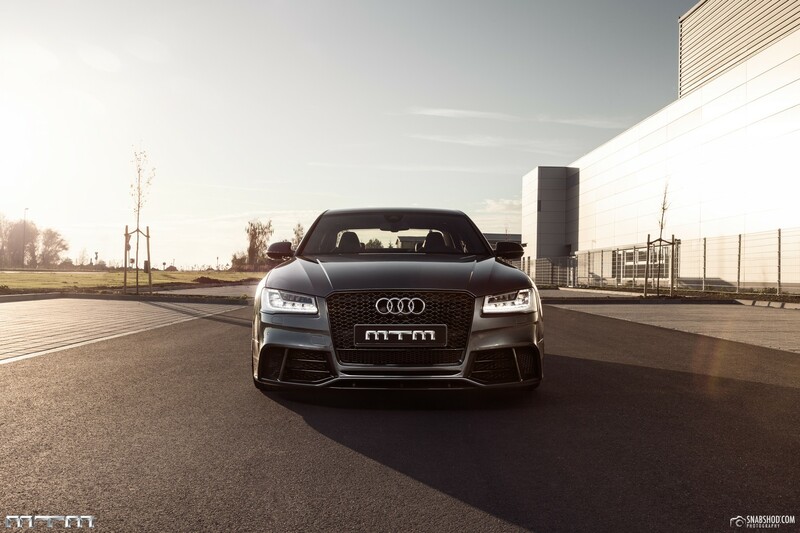 That it is also fast on its feet in the company’s accustomed manner is ensured by the best and at the same time proven ingredients: The power unit is based on the RS6’s eight cylinder engine, pepped up with modifications to turbochargers, exhaust system and water cooling. The MTM team has also intervened in the gearbox software to set the shifting points at 7000 rpm. The current values speak volumes: the MTM S8 Talladega blasts from nought to 100 km/h in 3.48 seconds, passing the 200 km/h mark in 10.51 seconds and reaching its top speed at 325 km/h. The speed is then limited out of consideration for the road-legal tyres. Carbon and ceramic brakes on the front and rear axles ensure appropriate deceleration at any speed. “Configured for fast laps on the Nardo Ring, exceeding 350 km/h would be no problem”, says Roland Mayer, spelling out the superior potential of the MTM S8 Talladega. 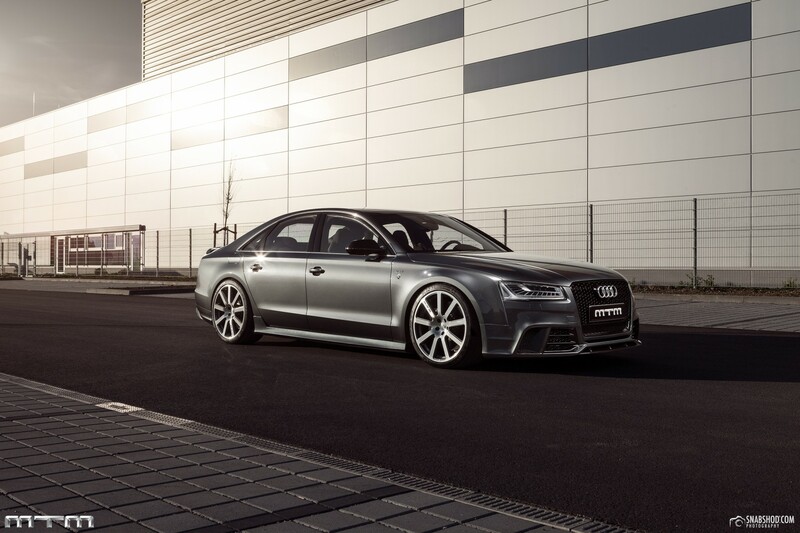 Audi’s 520 hp series production S8 variant sells for 115,000 Euro. However, MTM’s 240 hp of additional power comes with hardware and software costs: the MTM M-Cantronic + V-Cantronic incl. 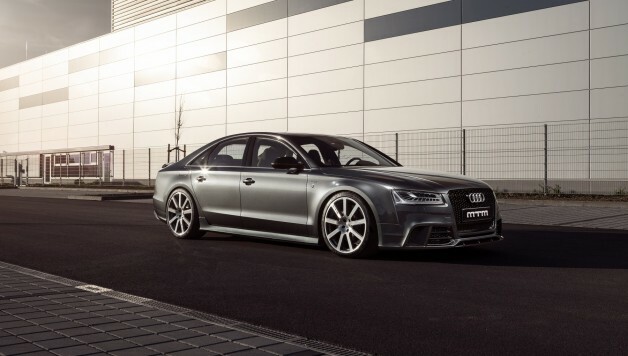 turbocharger, MTM 4-pipe stainless steel exhaust system after the turbocharger with flaps in 2 pipes costs around 35,000 Euro for the S8, the in-house manufactured F-Cantronic II used to lower the air-sprung chassis is yours for approximately 2,200 Euro. A set of wheels, 21′ Bimoto shod with 295/30 Michelin Pilot Super Sports costs 6,300 Euro and the in-house developed aerodynamics kit, attractive, effective and with a high carbon content, costs 15,000 Euro. The premium quality interior package will set you back another thousand. Altogether, this fine specimen will cost 189,708 Euro, including inheritance tax.